A determined young woman has transformed herself from a gym newbie to a national bikini champion in the space of two years after being dumped by her ex-boyfriend because of her plus-size body shape. Chinese ‘fitness goddess’ Wei Xiaoting, 21, said her ex-boyfriend had left her because she weighed 75kg (165 pounds) and was deemed ‘too fat’. ‘He was my first-ever boyfriend and we had dated for two years. One day in 2016, he went back to his home country unexpectedly and never returned,’ Xiaoting recalled the hurtful breakup with her Laotian ex to MailOnline. 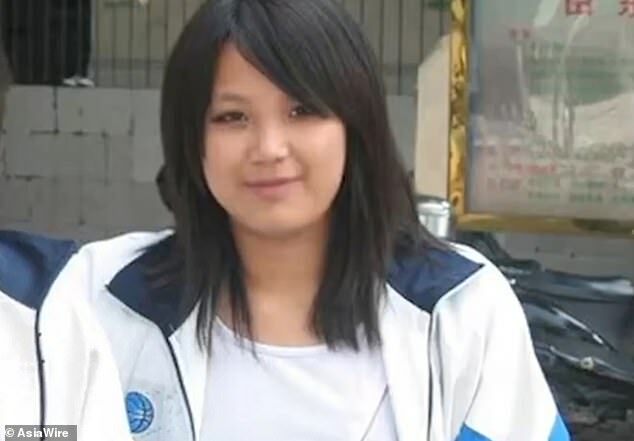 At the time, Xiaoting was a management student at a colleague in southern China’s Guangxi Province and her boyfriend was seven years her senior. She said the relationship with him nearly traumatised her. ‘He played rugby and went to the gym often. I would sometimes go with him, but he would say to me in my face: “Look at your figure, you would never win any fitness competition,”‘ Xiaoting explained. And it wasn’t just her ex who body-shamed her, she was teased by her classmates too. Xiaoting said: ‘A lot of people said I was very fat. I got the cold shoulder from my classmates and they didn’t want to hang out with me. ‘Because of the ill treatment I got from other people, and because of the hurt I got when my ex-boyfriend left me, I decided to hit the gym and become a better self,’ added Xiaoting who now lives in cosmopolitan Shenzhen where she runs a fitness studio. In the end, the setback didn’t bring her down; instead it made her stronger. Xiaoting set up a gruelling exercise regime in order to ‘become a better self’, and she turned out to be a successful bikini competitor with a six-pack body. Xiaoting said she decided to enter a bikini competition after the breakup to prove her ex wrong. She didn’t have a coach; instead she designed her own training routine by watching fitness videos online and seeking advice from gym-going friends. For her, preparing for the game was so hard at the beginning ‘it felt like I was going through hell every day’. She said a sudden change of diet was the biggest challenge. Not long after, she started to take part in some bikini competitions in her spare time. 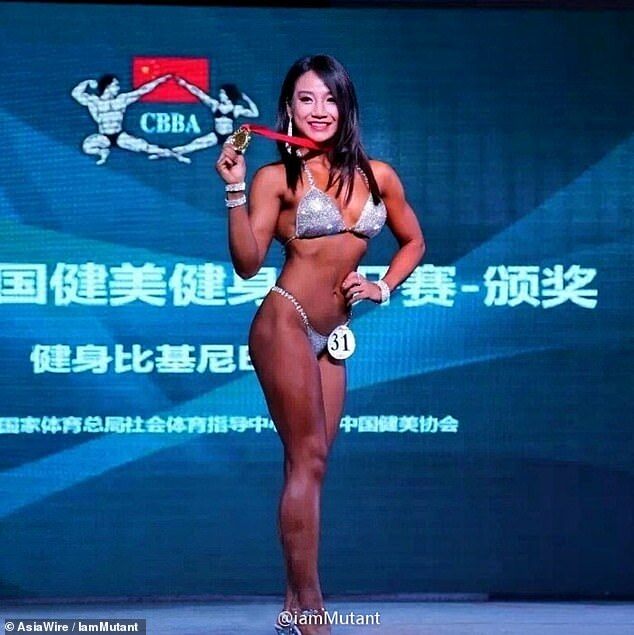 Four months after she began her training, she got her first award as the fifth place in the 2016 National Fitness and Bodybuilding Championship in Shenzhen. One year later, she stood at the top of the podium at the same annual championship. Xiaoting said she had been shy and introvert in the past, but exercising gave her the confidence and maturity she had not expected. Her gym routine has also brought a prince charming to her. Speaking to MailOnline while giggling, Xiaoting said she had met her a new boyfriend and was very much in love. ‘He is also a fitness competitor and is preparing for his first competition,’ she said. Talking about future, Xiaoting’s biggest wish right is to compete abroad, especially in Europe. 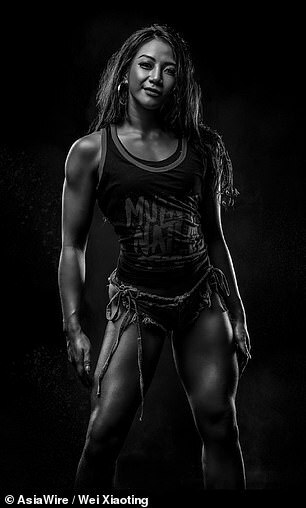 She is currently preparing for a game for pro-qualifiers by the International Federation of Bodybuilding and Fitness in August in Ho Chi Minh City in Vietnam. 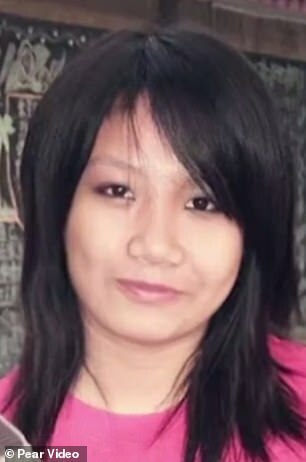 In addition, Xiaoting also hopes to afford a flat in Shenzhen soon and ear more money to support her family at home in Guangxi.